Here at CGC Event Caterers, how well we do our job relies heavily on who we work with and, just like the diners who dine on our creations, we want to know where our food has come from. Our Executive Chef, Andrew Donohue, carefully selects our suppliers based on quality first followed by their ability to consistently deliver for the breadth and scale of our growing business. CGC is proud to have a strong relationship (one which Andrew is very close to, being a customer on a personal level as well as professionally) with TD Goodall a family run dairy that has been producing, processing and distributing milk for 100 years. We’re on the second week of British Food Fortnight running from 22nd September – 7th October It’s the biggest annual, national celebration of British food and drink takes place. It was established in the wake of the Foot and Mouth crisis in response to the fact that, though there are numerous food initiatives, projects and events taking place across Britain, there was no overall flagship event to bring them to the public’s attention. As part of the campaign we thought we would give you an insight into one of our suppliers who makes what we do possible. A supplier with a rich history (and in fact our longest contracted supplier) TD Goodall have been supplying us with their dairy and cheese products for 30 years. Based in the village of Scarcroft, Yorkshire they have a history nearly as long as our own starting in 1913, just 17 years after CGC’s own conception. To conform to the ever increasing regulations imposed on the dairy industry, they started to pasteurise the milk in 1981 and found themselves to be the only remaining farm still producing and bottling milk in Leeds, our Executive Chef Andrew Donohue is a personal customer of their milk bottle service. Following Billy’s retirement in 1994, Jimmy was joined by his son Edward and they developed the business further, increasing production and introducing plastic cartons in addition to glass bottles. In 2009, Jimmy retired and his daughter Victoria left the Royal Air Force and joined her brother Edward to continue the family business. Edward’s son, Thomas (aged 13), is already helping his father wherever and whenever he can! 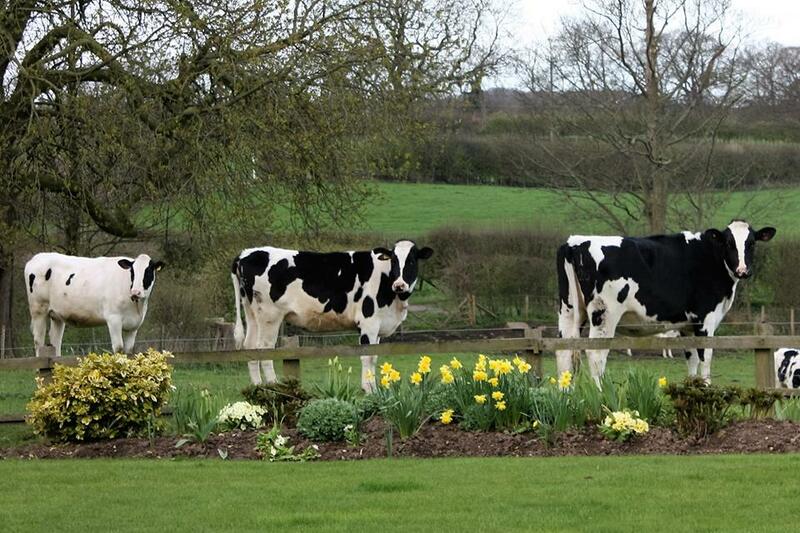 TD Goodall has approximately 200 Holstein Friesian cows being milked each day. Their robust family run business has grown over the years and they have recently ventured into catering themselves, earlier this year they opened The Milk Churn serving gelato made fresh on the farm as well as coffees and a small sandwich selection. “TD Goodall has been supplying CGC Event Caterers longer than any other food supplier. Their service levels are consistently excellent, the amount of years we’ve been working with them is testament to that, there are larger, cheaper dairy suppliers, without a doubt that we could use but that would not fit in with our ethos, which TD Goodall does so well. We want to support local farmers where necessary to get the best possible produce for our clients. With TD Goodall we can be certain they are getting a superior product. TD Goodall’s support and reliability is a contributing factor to CGC’s success” – Andrew Donohue, Executive Chef.